Sambar is a very delicious recipe, Most popular in South India. Specifically idly and sambar is a great combination. It is my first favorite recipe.. 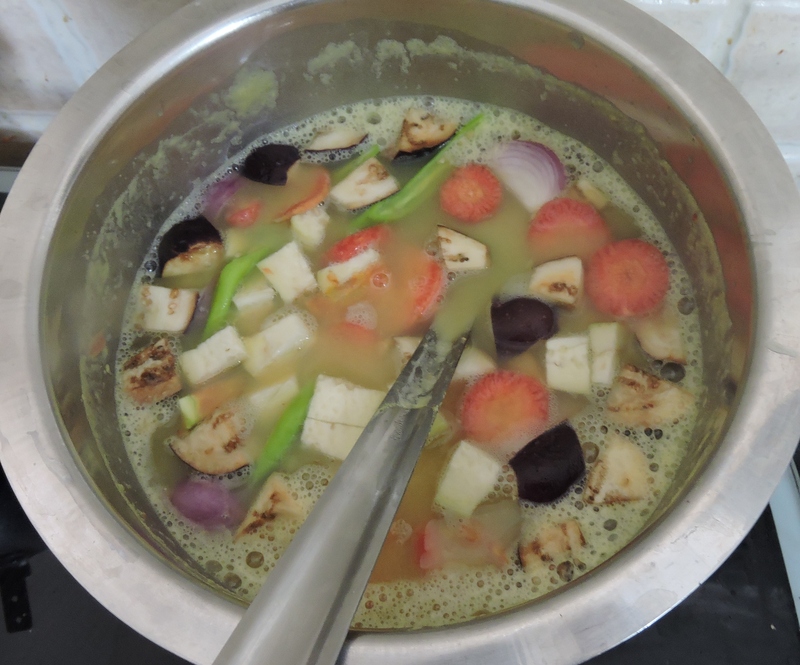 Here we prepare sambar with combination vegetables and the main with tamarind juice. It is very easy to prepare and very healthy too. For children also like this sambar with rice. Don’t forget to check our simple vegetarian curry recipes for different curry recipes. 2. 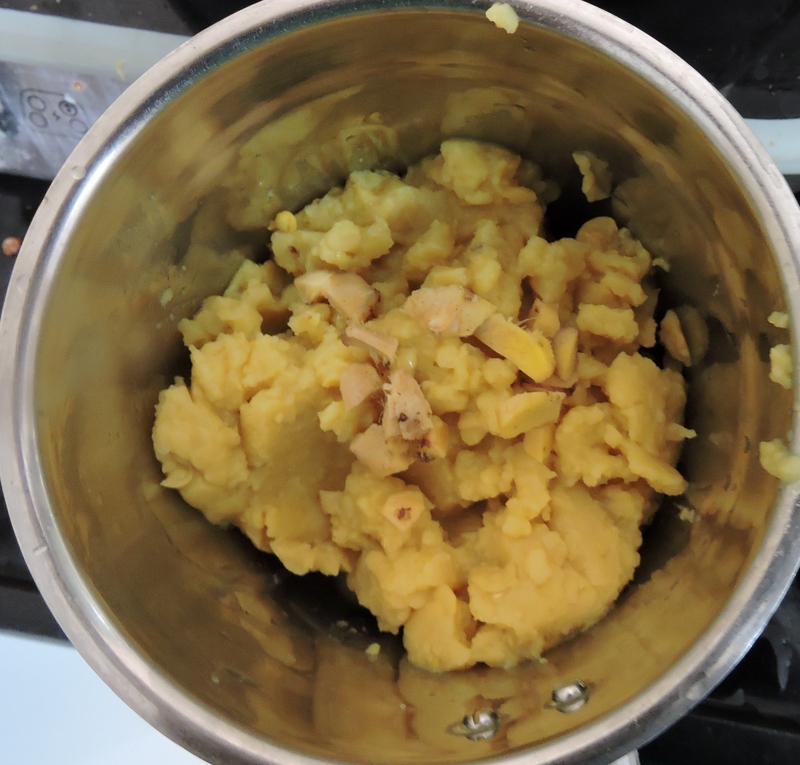 When steam evaporated remove the lid ,and wait for dal is cooled. 3. After dal is cooled put in mixy jar and add some ginger make fine paste. 4. Now in a little big steel vessel or sauce pan add dal paste and two glasses of water give a stir. 5.Now put it into stove. 6.When the water is coming up add the chopped vegetables and give stir. 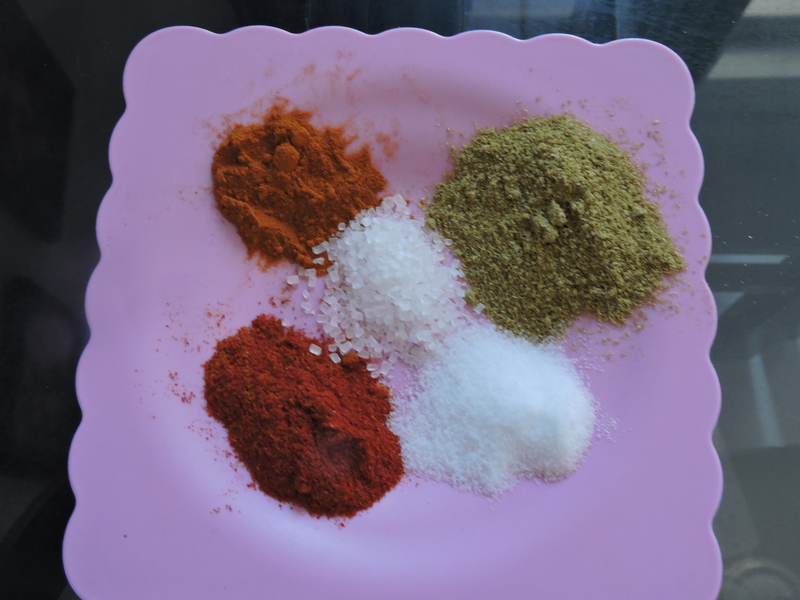 7.Now add turmeric(haldi), Dhaniya(corainder) powder,salt,little suggar,red chilli powder.. give a sitr. 8.Put stove in sim and let it boil for 10 minutes. 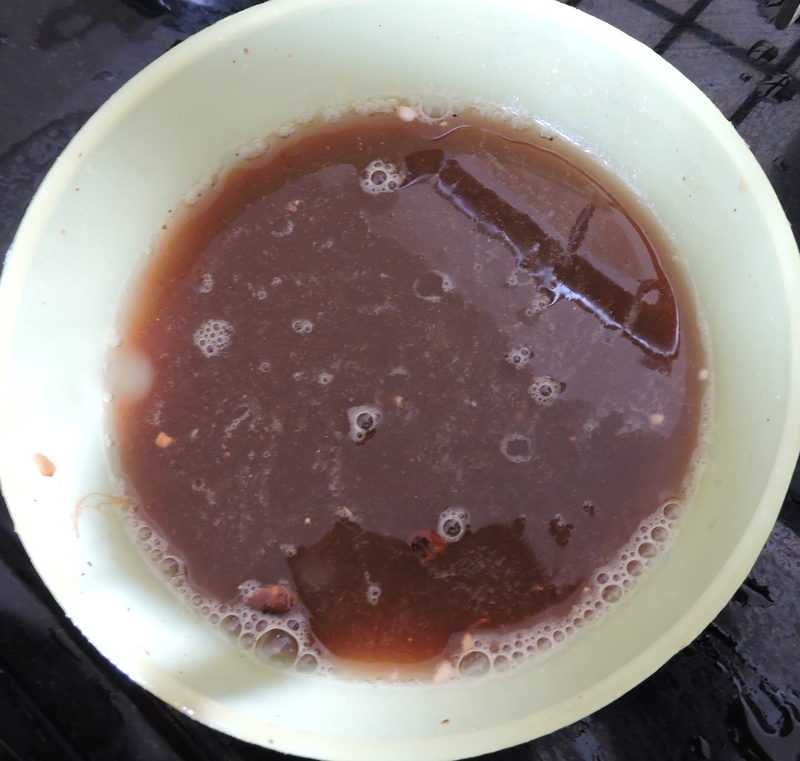 9.After ten minutes add tamarind water (soak tamarind in water for ten minutes and then smash the tamarind with in the water and extract the pulp) and boil it for another 15 minutes. 10. And finally add sambar powder and coriander boil for 5 minutes. The below are the ingradients required for tempering. 2. Along with add some fenuggreek(methi) seeds. 3. Put thadka pan on stove add some oil. 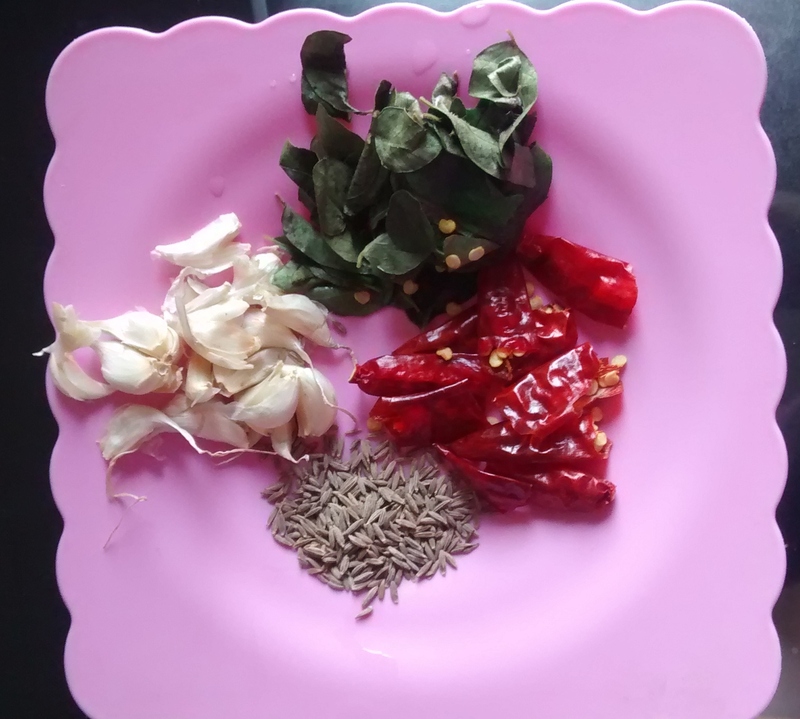 When the oil is heated add garlic fry for 1 minute after that add chilli, methi seeds, mustered seeds and jeera fry for 1 minute lastly add curry leaves fry for half minute and switch off the stove. Delicious sambar is ready to serve. 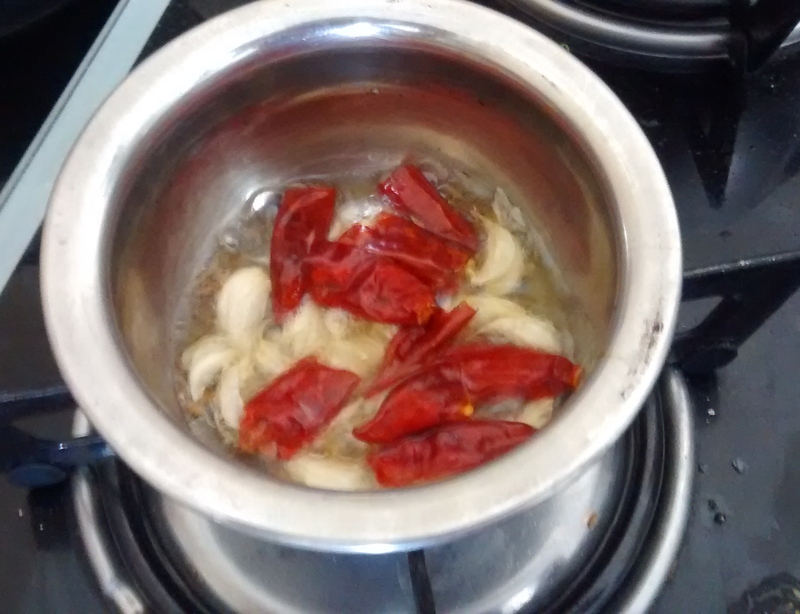 Serve hot with idly, dosa, wada or rice.